At Jubilant Biosys Dr. Mullangi is heading DMPK & Toxicology departments and is also overseeing small Pre-formulation group and is responsible for Conceptualizing, Planning, Report generating and directing the team towards meeting the discovery and development project needs of the organization from Bioanalysis, Drug Metabolism and Pharmacokinetic perspective of various therapeutic areas. 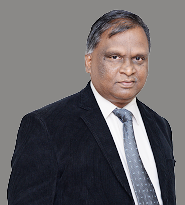 Prior to joining Jubilant he worked with Dr. Reddy’s Laboratories where he managed the DMPK department in both prelinical and clinical areas. His Core areas of expertise are - Pharmacokinetics, metabolism, metabolite identification (in vitro and in vivo), tissue distribution, biliary excretion studies, mass balance study, PK-PD correlation, allometric scaling, toxicokinetics, mass balance studies using 14C labeled compounds and bioanalysis etc. He was also involved in the compilation and dossier submission of DMPK package to FDA, MHRA and DCGI. Dr Mullangi has published more than 150 research articles, 6 reviews, 20 posters, 3 patents and written 2 book chapters. He is the Reviewer for Biomedical Chromatography, Journal of Chromatography B, Journal of Pharmaceutical and Biomedical Analysis, Bioanalysis and Journal of Separation Science journals and also Editorial team member in Bioanalysis journal. Dr Ramesh Mullangi has done his Ph.D. in Pharmacy 1995 from Kakatiya University, Warangal, India.